If an accident or procedure has left you or a loved one dealing with a spinal injury, you’ll need to find the right help for your spinal cord injury case. Many difficulties are ahead of you, and while it is tempting to take your time so you can adapt to the changes in your life, this type of injury doesn’t allow for waiting around. Spinal afflictions won’t always get better on their own, and in some cases they might even worsen over time. In addition to the emotional strain a serious injury can cause, the countless decisions you need to make may leave you feeling overwhelmed. At the same time, finding the right attorney so you can get the compensation you need is too important to put off for later. Read on to learn what you should be seeking. ● How long have you been a practicing lawyer? ● Do you have experience with spinal cord injury cases? ● How many cases like mine have you handled before? ● What is your success rate when it comes to spinal injury cases? ● Will someone else be taking care of various parts of my case, or will you handle it all yourself? It is difficult to count all the issues you might have to deal with in the aftermath of a spinal cord injury. The expenses associated with these injuries definitely rank near the top of the list. The cost of medical components and supplies, transportation needs and housing alterations can be astronomical. As such, it is extremely important to retain the services of an attorney with experience you can trust. 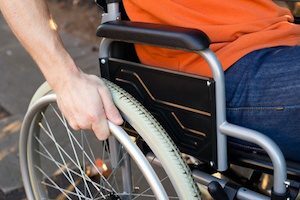 An attorney with experience in a spinal cord injury case will fight for you, helping you get the compensation you need and deserve. But they can also go beyond that. A lawyer accustomed to cases like yours is aware of the strain and limitations a spinal injury can create. They can more effectively show a jury the full impact of the injury you or your loved one has suffered. Aside from helping them win more cases, this knowledge means your lawyer will do whatever it takes to help you get better medical treatment. Find out what you need to know about your spinal cord injury case by calling Williams & Williams, LLC at 770-823-2711.